Biafra Nations Youth League, BNYL, has stated that the reasons behind the inability of Pro Biafra groups to restore Biafra is the challenges of indiscipline and overzealous leadership ambition. National Leader of BNYL, Princewill C Richard while answering questions from an American citizen Michael Johnson on an audio recorded program carried by the group online TV revealed major challenging facing the movement. 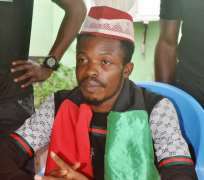 The BNYL Leader also accused the Federal Government of treating northern agitators like eggs but kills armless Biafrans in the Southeast and South south. The group also warned the government to halt the activities of the Fulani Herdsmen whom he said are linked to the Boko Haram in the north east or it results to violence against them.